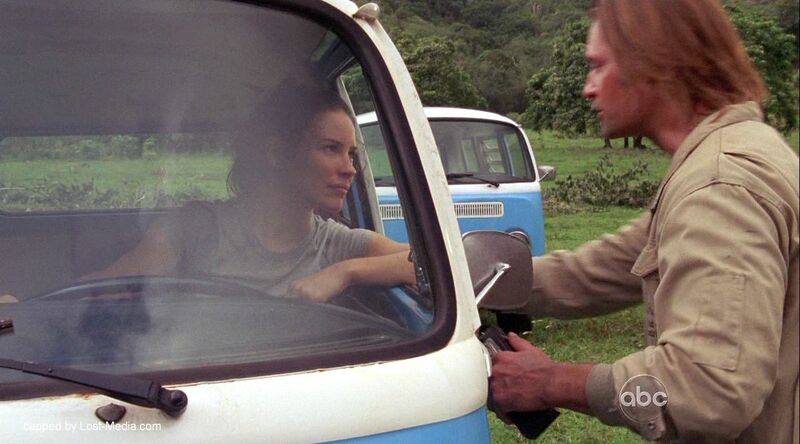 James Ford, better known by the alias Sawyer, and known to the DHARMA Initiative as Jim LaFleur, was one of the middle section survivors of Oceanic Flight 815. His rural Southern accent, selfishness, machismo, and folksy use of oft-abrasive nicknames belied his sophisticated and tender sides as an avid reader and a caring lover—elements of his personality that became more apparent as he spent more time on the Island. On the Island, Sawyer used his skills as a confidence man to accomplish various ends. He hoarded material possessions to leverage power, leading to his involvement in several “A-missions”. His acts of rebellion led him to, at various times, become the most hated survivor on the island, though he still formed a bond with Kate. 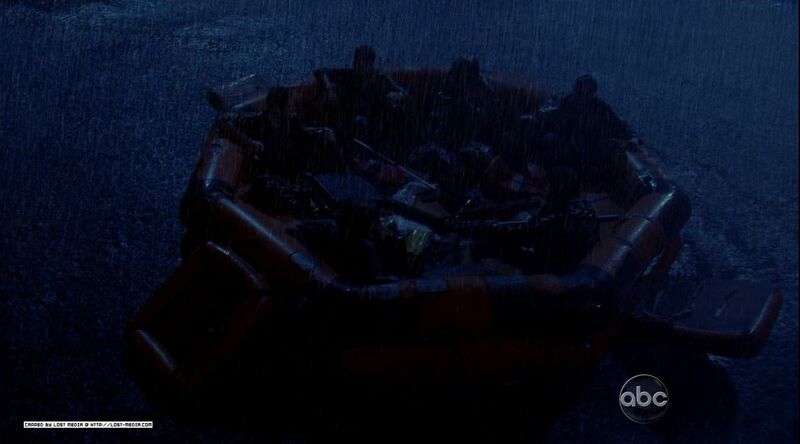 In an early attempt at rescue, Sawyer left the Island along with Jin, Michael and Walt on Michael’s raft but was forced to return when Walt was kidnapped and the raft was blown up by the Others. 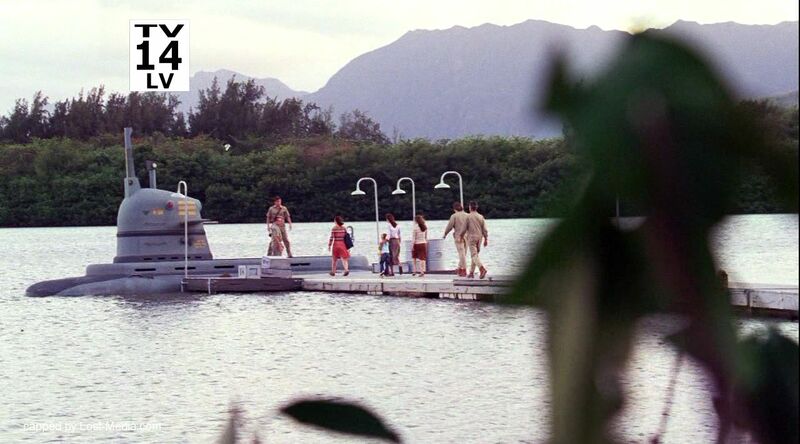 They washed up on shore and met up with the previously unknown tail section survivors of Flight 815 and returned to camp. After pulling off a long con, he gained control of all the guns and a position of power over the other survivors. 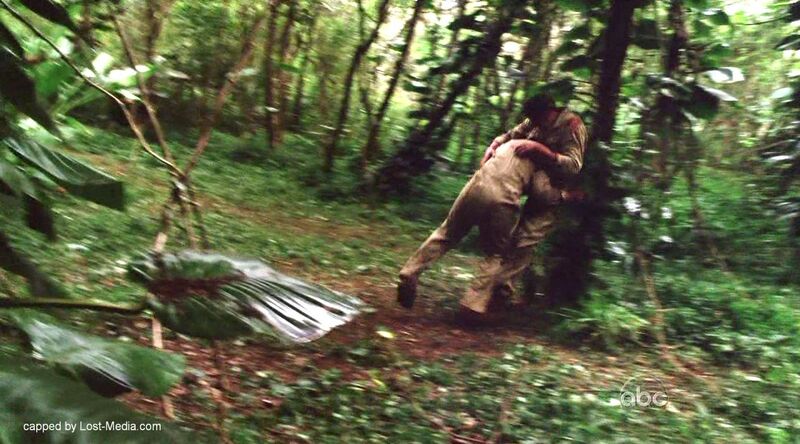 He was later captured by the Others, along with Jack and Kate, as a result of Michael’s betrayal. 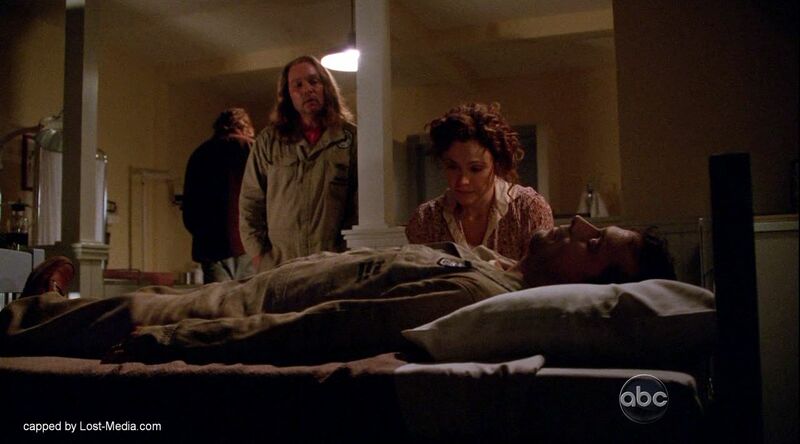 While with the Others, Sawyer and Kate were used as leverage to convince Jack to perform surgery on their leader, Benjamin Linus, until he and Kate eventually escaped. 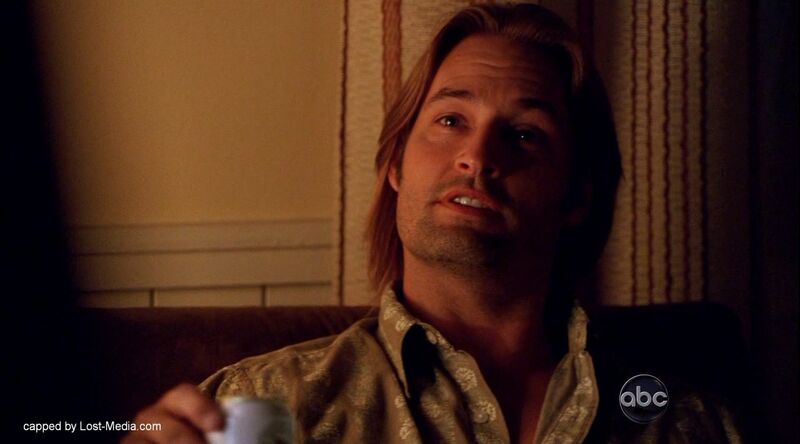 During the time spent on Hydra Island and through the remainder of season three, Sawyer started an on-again, off-again relationship with Kate. 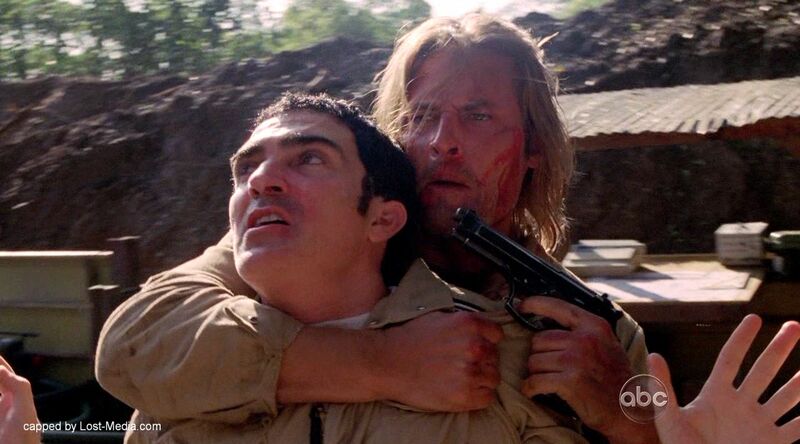 Sawyer was asked by John Locke to kill a man, Anthony Cooper, who was revealed to be the real “Sawyer”. 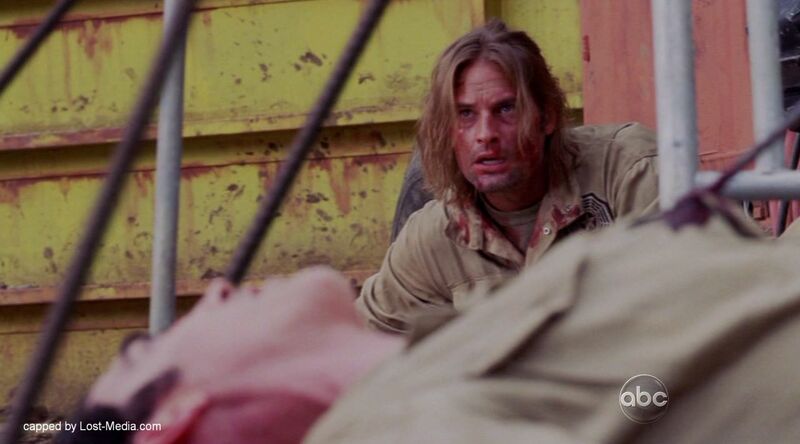 After Jack called the freighter for rescue, Sawyer joined Locke and a small number of survivors sheltered in the Barracks. When the Oceanic Six left in the helicopter, Sawyer was left behind after he kissed Kate goodbye (also whispering her to tell his daughter he’s sorry) and heroically jumped into the ocean, when the chopper was running low on fuel. This sort of ended his relationship with Kate. 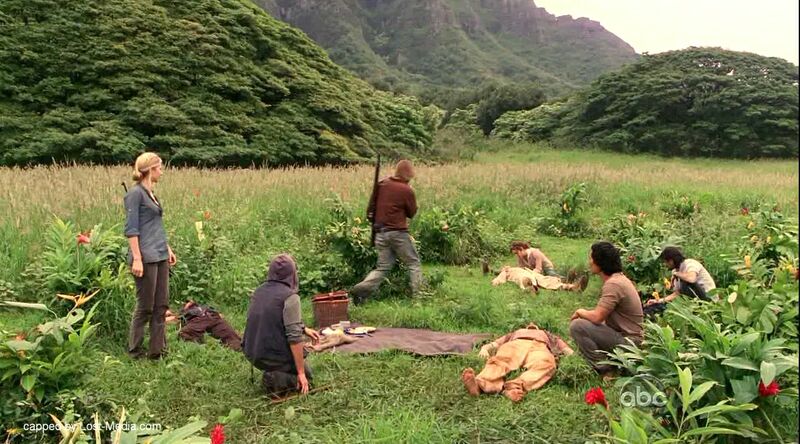 He and a small group of survivors underwent time shifts as a result of Ben moving the Island. He led the small group until a final time shift, where they were stuck in 1974. 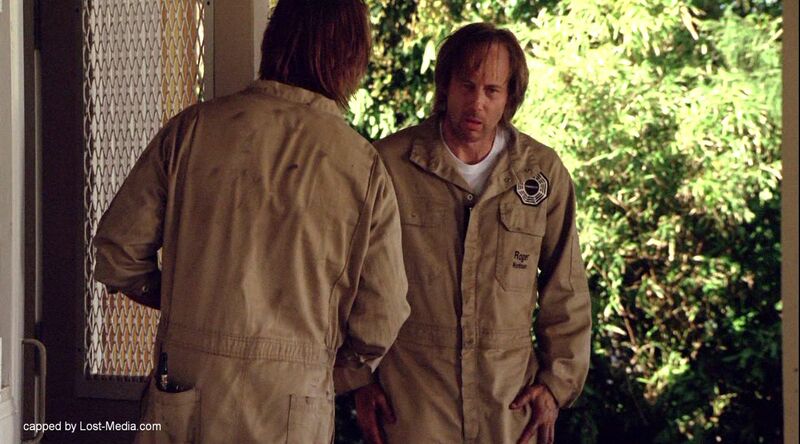 Sawyer joined the DHARMA Initiative and eventually became their head of security. He began a relationship with Juliet and continued to live in the 1970s for three years until Jack, Hurley and Kate returned to the Island following the crash of Ajira Airways 316. Sawyer joined the Man in Black upon meeting him, although he ultimately betrayed him whileboarding Widmore’s submarine to escape the Island. The Man in Black however, had conned Sawyer into stealing the sub so that he could kill the remaining candidates with a bomb. 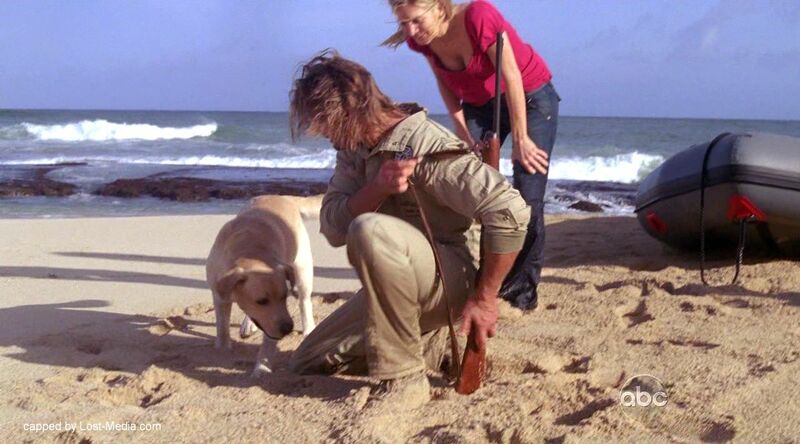 After the explosion, Sawyer was knocked unconscious and brought ashore by Jack. 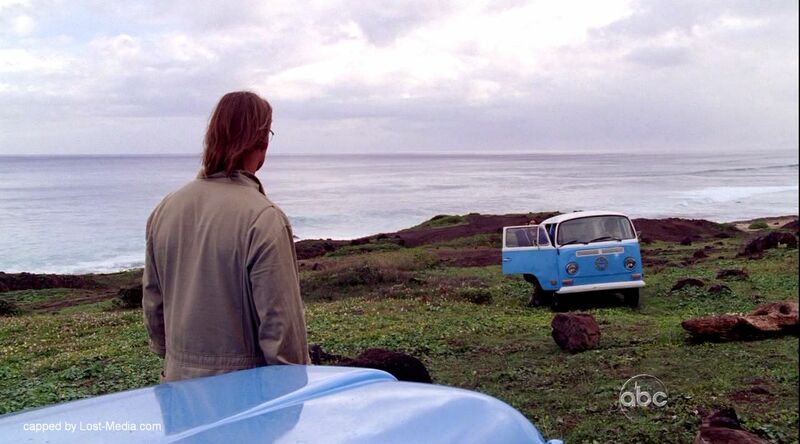 While Jack was preventing the Island from being destroyed, Sawyer managed to escape on the Ajira plane with Kate, Claire, Frank, Richard, and Miles. In the flash sideways, Sawyer was a police detective rather than a crook. Eventually, he was reunited with his lover, Juliet Carlson, and they moved on together with their friends. Though confused by the intense white light, Sawyer was quick to notice that the smoke from the freighter had completely disappeared in an instant. Juliet speculated that the helicopter may have been on the boat when it exploded. 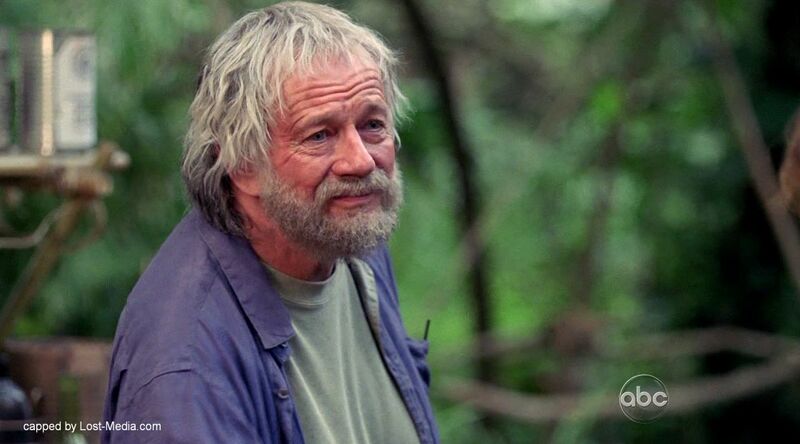 Sawyer attempted to calm Rose and Bernard as they panicked but they informed him that the camp had disappeared. Sawyer acted increasingly irritable as the group headed towards the hatch. He first asked Daniel to give him his shirt, and then slapped him and demanded some sort of explanation about the flashes of light. He seemed uncaring that they were travelling through time, When they arrived at the Swan station he suggested to Daniel that they could warn them about not getting on the helicopter, but Daniel replied it would be futile to attempt to change the past. 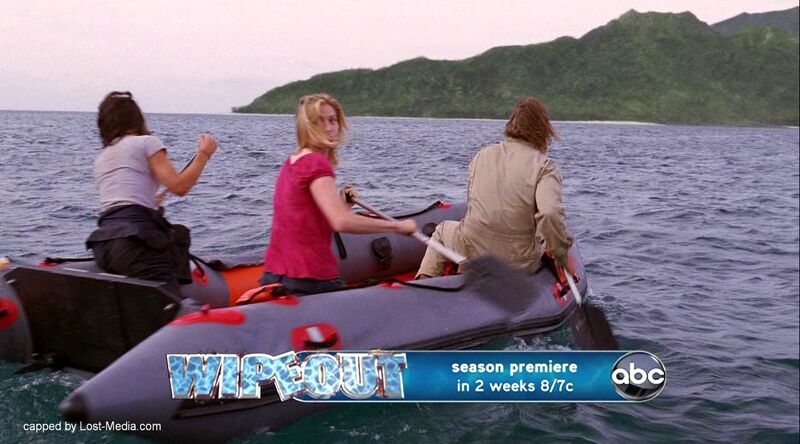 Sawyer took Frogurt’s red shirt, and questioned Daniel about how they were going to get off the Island. Later that evening Sawyer became increasingly impatient with Frogurt’s pessimistic attitude and just as tensions peaked Frogurt was killed by a flaming arrow, fired by a group from within the jungle. As the group of survivors fled, Sawyer was almost hit by one of the many arrows. He went back for Juliet who had stopped to help someone hit, and the two of them disappeared into the jungle to escape. Moving towards the creek to meet up with the rest of the group, Sawyer stepped on a piece of bamboo, skewering his foot. Soon after he and Juliet saw a group walking through the jungle with guns. They tried to stay out of sight but were spotted and held at gunpoint. The next morning, the three attempted to gain information out of the two surviving men. After Juliet was able to determine that they were Others, one of the men, known as Cunningham, was willing to lead them to their camp. Suddenly, “Jones” quickly snapped Cunningham’s neck and escaped. As he ran away, Locke had a clear shot at “Jones'”, but refused to shoot. 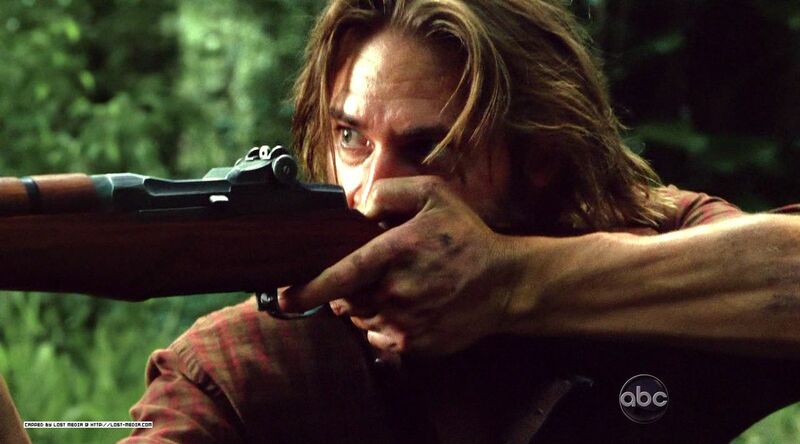 This lead Sawyer to take his gun and aim for Jones, but his shot missed. 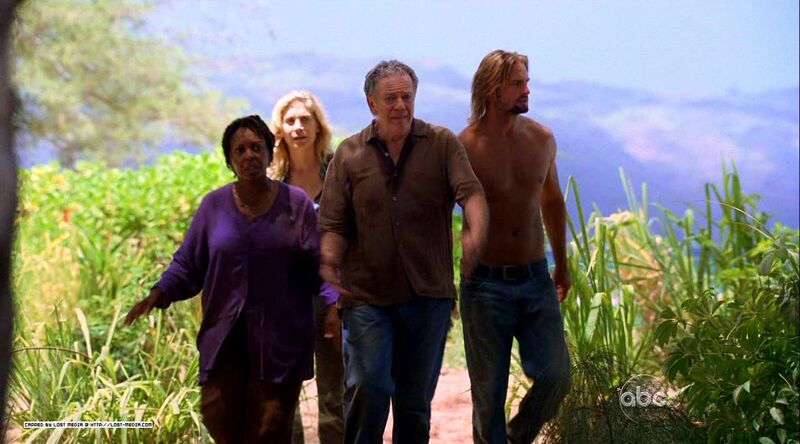 Sawyer followed Juliet and Locke as they tracked Jones to the Others’ camp. 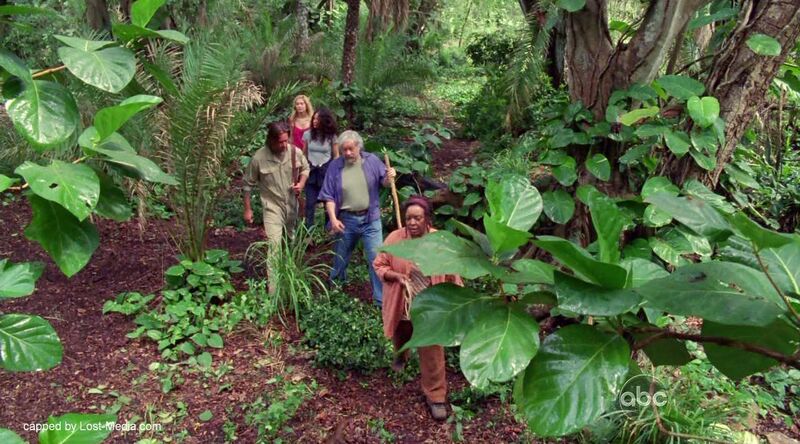 They head for their camp in order to use the Zodiac to get to the Orchid to save time, to find the Zodiac boat is gone and the camp has been ransacked and abandoned. They also find two outrigger canoes and Sawyer discovers an Ajira Airways water bottle in one of them. They decide to take one of the outriggers before whoever owns them returns. Out in the water Juliet notices Sawyer is distracted and asks if he is okay, to which he tells her how he saw Kate in the jungle. They are interrupted though when whoever owns the outriggers give chase in the other one and begin shooting at them. There is another time shift and the other boat disappears, and the group is caught out in the rain during nightfall. 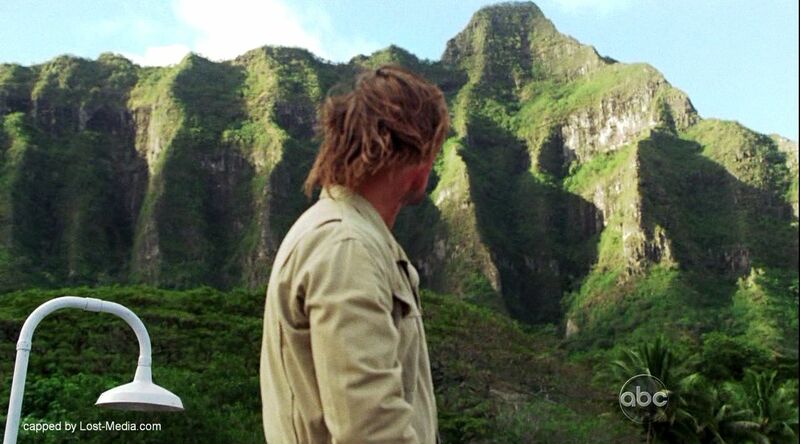 On their continued journey to reach the Orchid, Sawyer and his group stumbled upon Jin (who they thought was dead) just moments after another flash through time. They convinced him to come with them but now the time shifts were becoming much more frequent. Charlotte then collapsed and Sawyer went ahead with Locke, Miles, Juliet and Jin while Daniel stayed behind with Charlotte. They managed to reach the Orchid but it disappeared in a time flash. 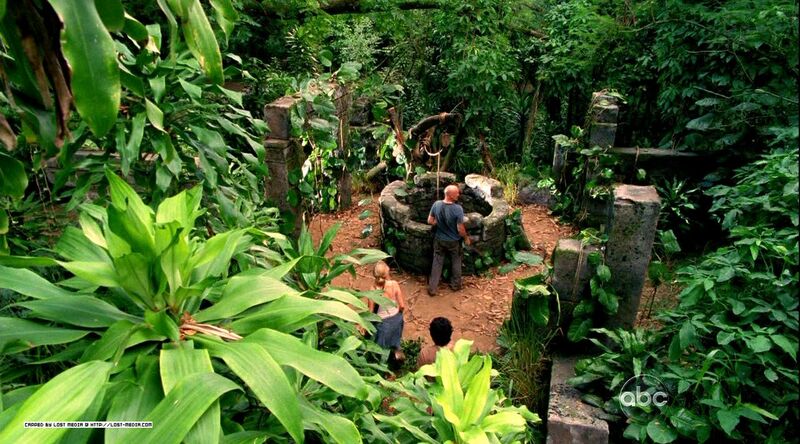 When the well reappeared, Sawyer attempted to help Locke, but when he jumped in, he found it either hadn’t been dug yet or had been filled in. 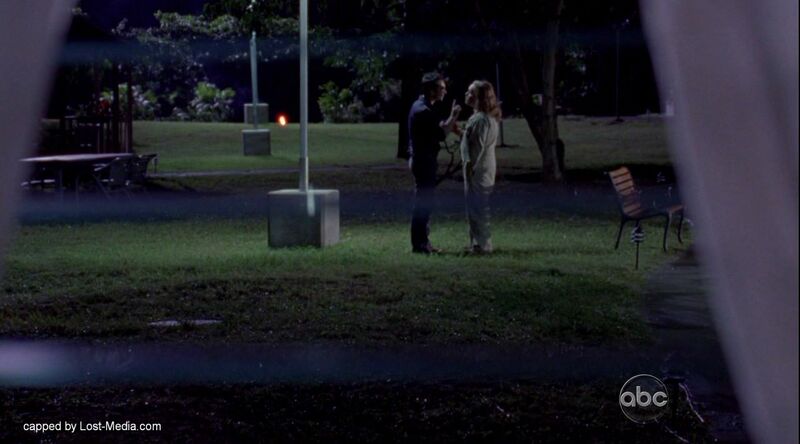 They headed back to find Daniel and Charlotte where they saw that Charlotte had disappeared after her death. Sawyer suggested going back to the beach, and Miles scoffed, but Juliet backed him up. On the way, the group heard gunshots, and saw two Others taking a woman hostage. 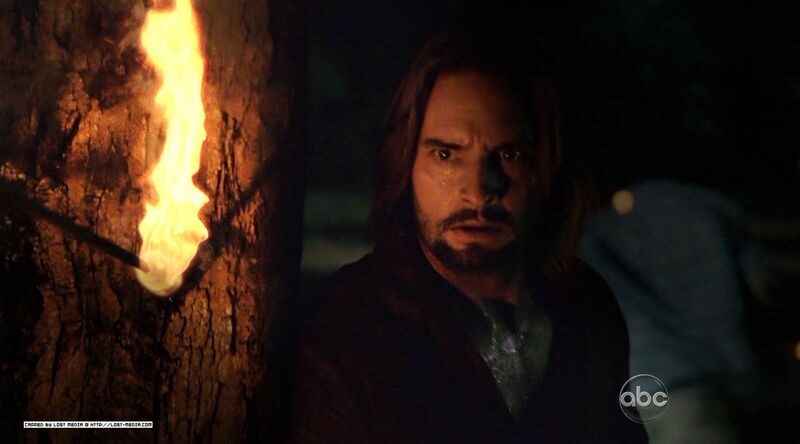 Sawyer confronted them and asked them to lower their weapons at the point of his own gun, but when one of them attempted to shoot him, Juliet shot him and Sawyer took out the remaining Other. They released Amy who cried out for her dead husband, Paul. She insisted that they bury the bodies of the Others, and take Paul back with her. 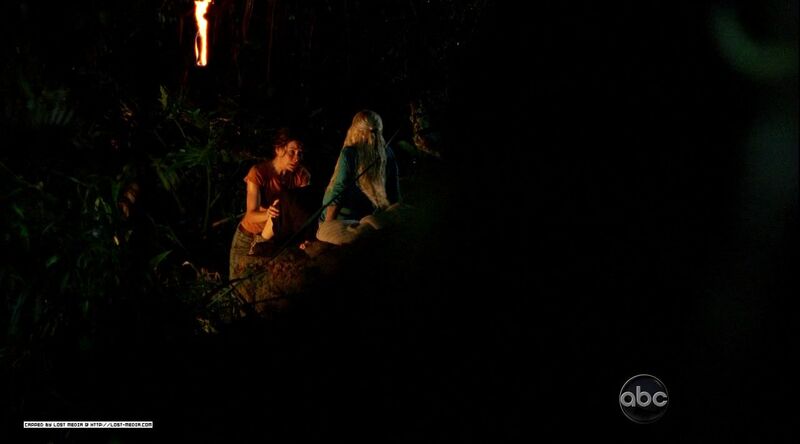 Sawyer came up with a lie and told her that his group was shipwrecked, but they decided to help. When they got to the sonic fence, Juliet demanded that Amy render it safe. She appeared to do so, but actually just put in earplugs. When Sawyer and his crew crossed the fence, they were rendered unconscious. When Sawyer woke up, he was confronted by Horace Goodspeed, who asked for his story. He said his name was James “Jim” LaFleur, and told him he was the captain of a salvage vessel looking for the Black Rock. Horace told him he’d be put on the next submarine out, but Sawyer asked for time to find the rest of his crew. 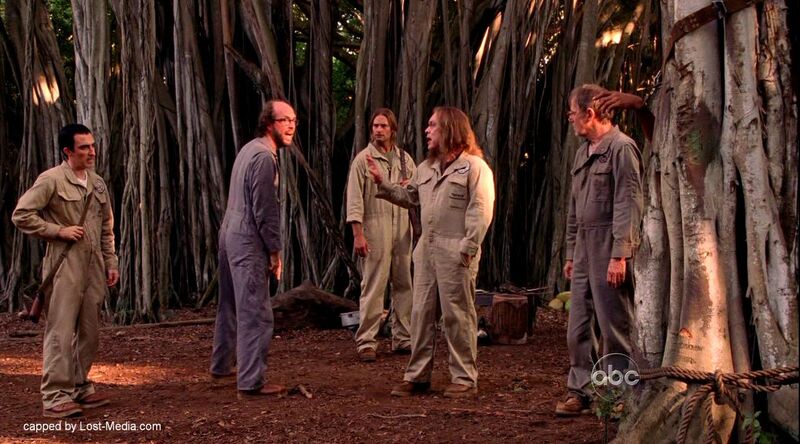 When Richard Alpert invaded the DHARMA Initiative camp, Horace went to talk, and when he returned, he asked how well Sawyer buried the bodies. 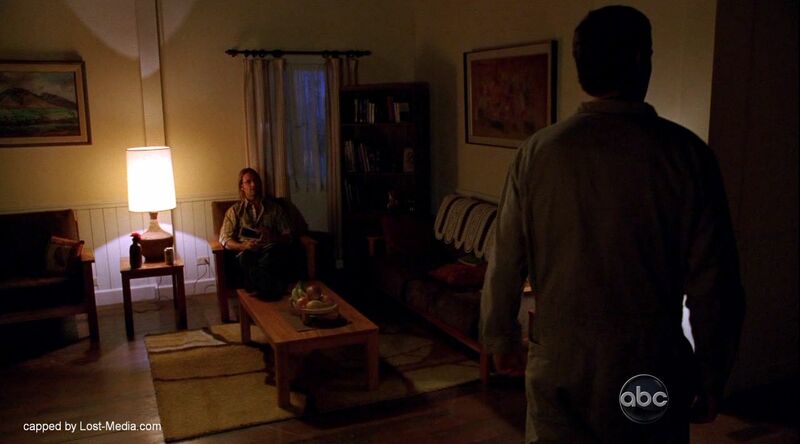 Sawyer then went for a private talk with Richard, and told him the truth about their situation telling him that they were a third party in the incident. Richard didn’t initially believe that Sawyer was not DHARMA, but Sawyer asked if they buried Jughead and recounted Locke’s trip in 1954. 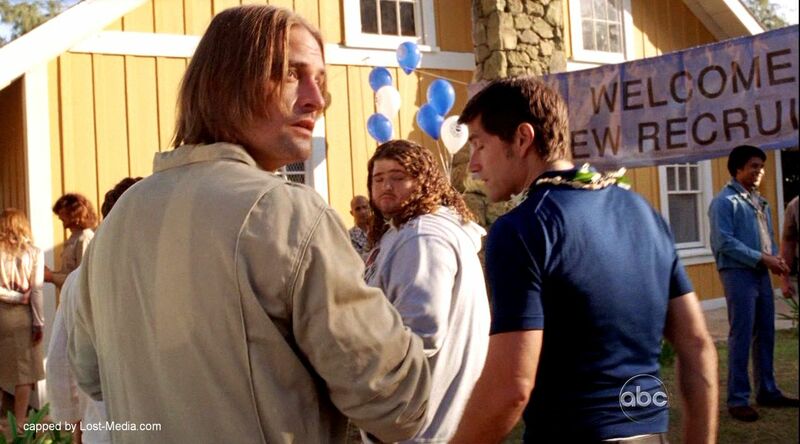 With the specific name of John Locke, Richard then believed Sawyer was not DHARMA, and they hadn’t violated the truce. However, Richard still needed justice and they agreed to send the body of Paul back to keep the peace. 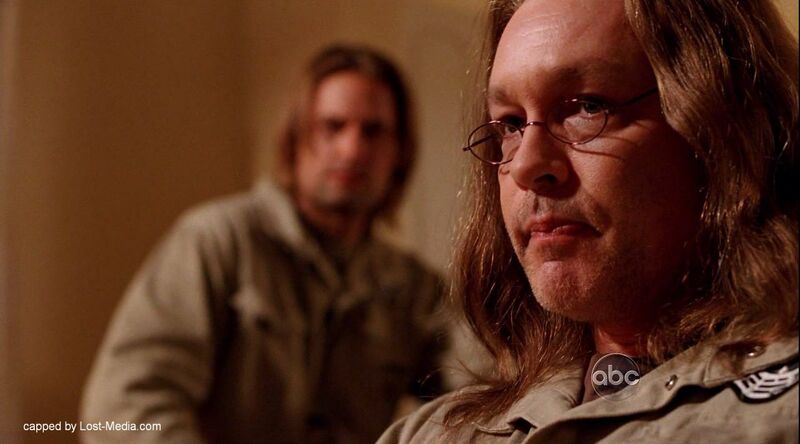 In return for dealing with Richard, Horace gave Sawyer two weeks to find the rest of his crew. At the dock by the submarine, Juliet told Sawyer that Locke had already saved them, noting that the flashes had stopped and they were no longer sick, so there was no need to wait for him. 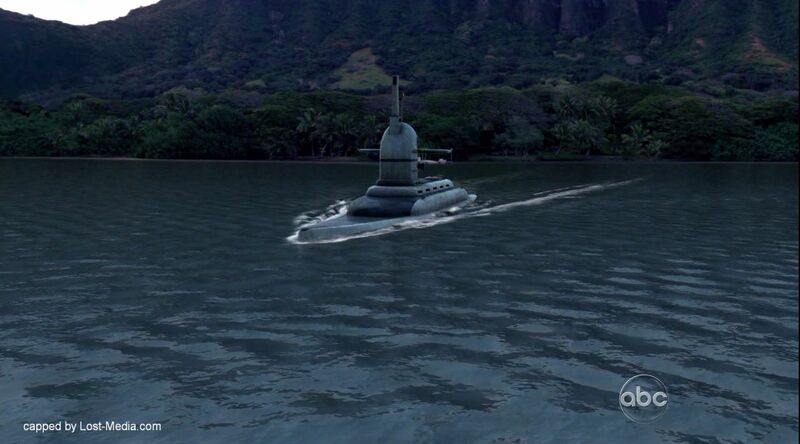 She explained that she had been trying to get off the Island for over three years, and that she intended to be on the submarine in the morning despite Sawyer convincing Horace otherwise. Sawyer, however, talked her into staying for just two more weeks until the next submarine trip. 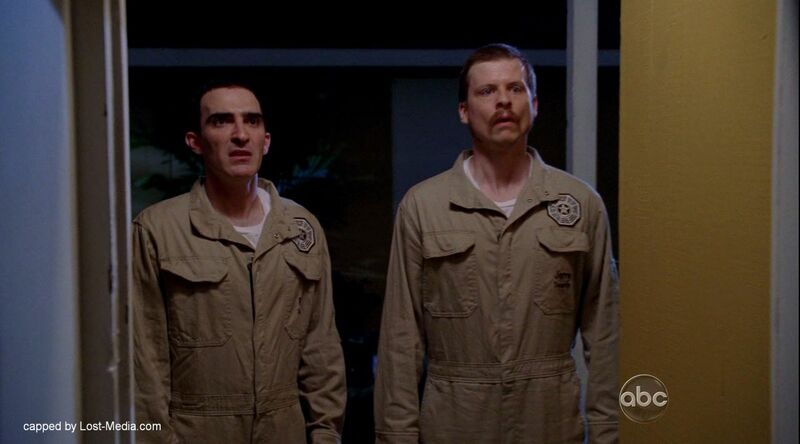 Two weeks inexplicably turned into three years, during which time Sawyer became head of security (under his “Jim LaFleur” alias) and entered a relationship with Juliet, Amy and Horace get married, Jin became fluent in English and he and Miles are part of DHARMA security. As head of security, Sawyer commanded considerable respect and fear, as his staff debated about waking him up to take care of Horace, who, drunk, started tossing dynamite around near the Flame. Sawyer and Miles found him passed out, and Sawyer took him back to Amy, who admitted they had an argument before he started drinking, then went into labor. When the DHARMA doctor admitted he had never performed a caesarian (which Amy required), Sawyer recruited Juliet, now a motor pool tech. She succeeds in saving both Amy and her child. 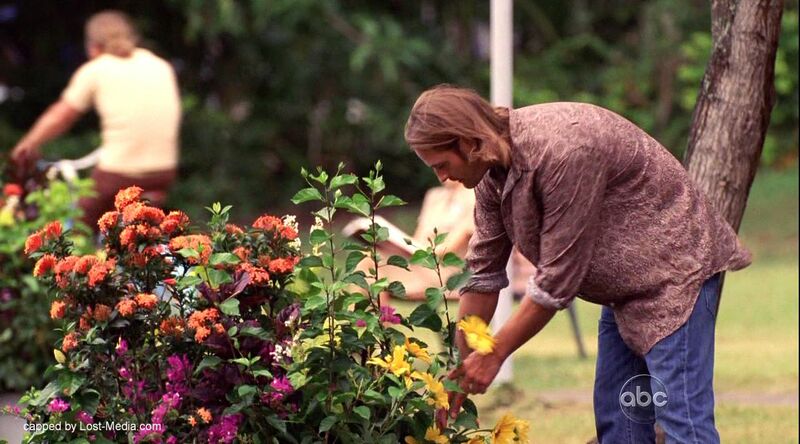 Later that day, as he walked outside, Sawyer stopped to pick a large yellow flower. Smelling it and smiling, he went home and gave it to Juliet, who was in the kitchen making dinner. He kissed her and told her that he loved her and congratulated her on her first successful delivery on the Island. Later that night, Sawyer talked to Horace, who was finally waking up, and informs him that he missed the birth of his son. Horace revealed the fight was about Paul, and Amy keeping his ankh necklace in remembrance. When he asked if three years was enough time to forget somebody Sawyer told a story about a woman he once loved, and who he probably could have been with. Now, he said, he can hardly even remember her face. As it became clear that he was speaking about Kate, he asserted that three years was long enough. 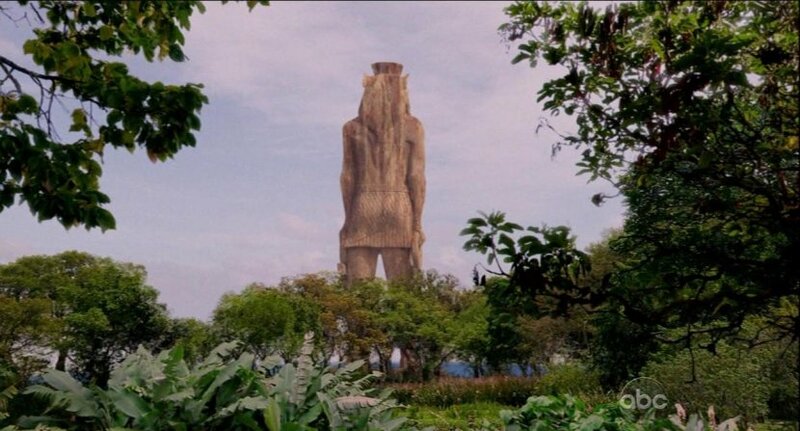 Sawyer had to conceal the fact that his friends had arrived on the Island. 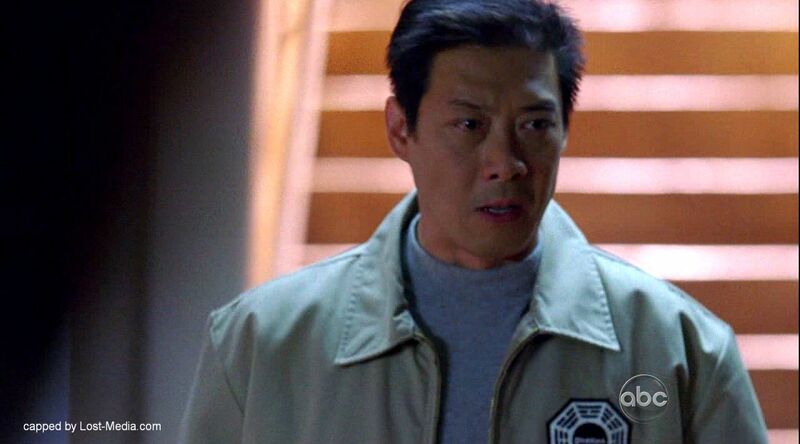 He filled Juliet in and she informed him that the submarine was bringing new people to the Island that day so he decided to have them pose as new DHARMA Initiative recruits. Sawyer gave them instructions, provided new clothing, and assured the three that they would not be detected. 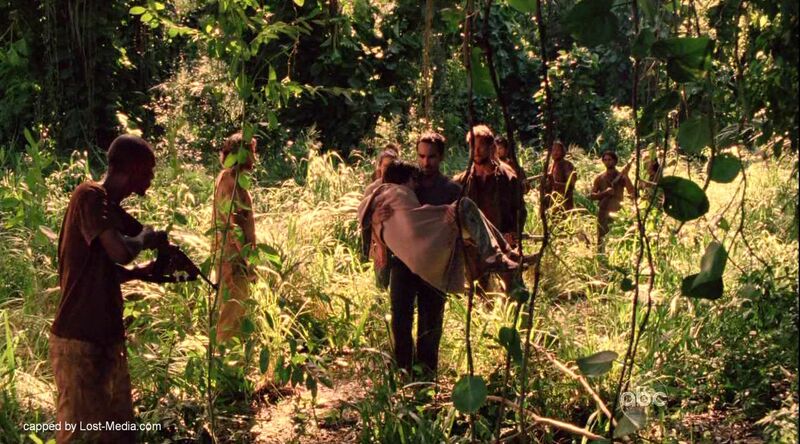 The next day, Sawyer attempted to reason with Sayid, offering him a chance to join DHARMA as a defector from the hostiles. 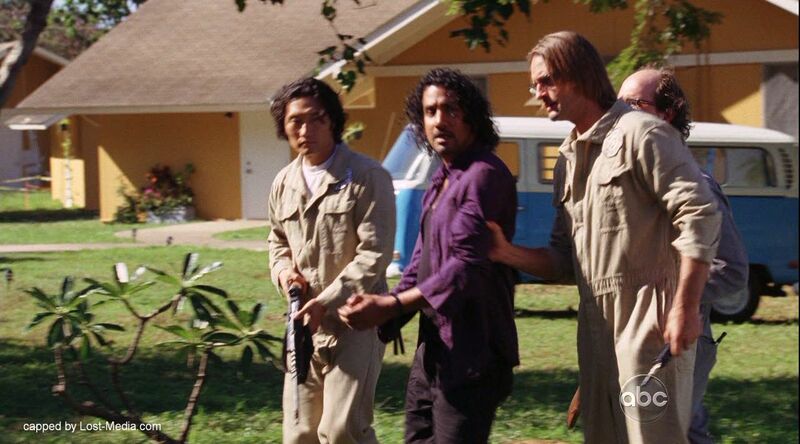 Sayid refused and was brought to Oldham by Sawyer, Horace, and Radzinsky. 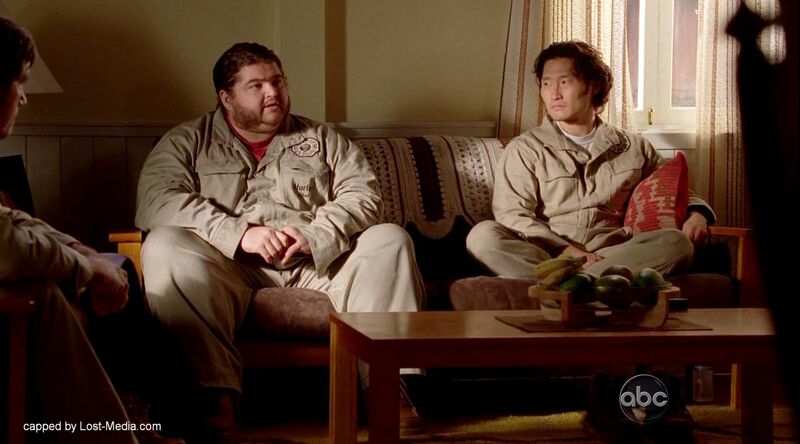 While Sayid did tell the truth under the influence of drugs, his story was not believed. 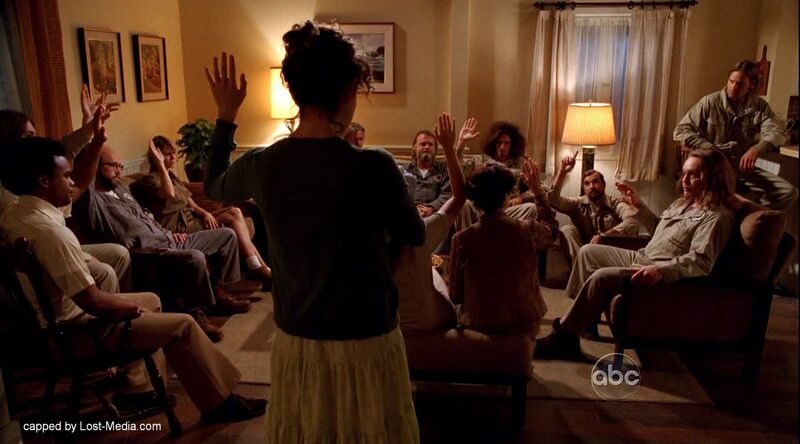 In a meeting to decide what to do with him, Sawyer tried to convince the DHARMA council to spare his life, but is outvoted and reluctantly made it unanimous. 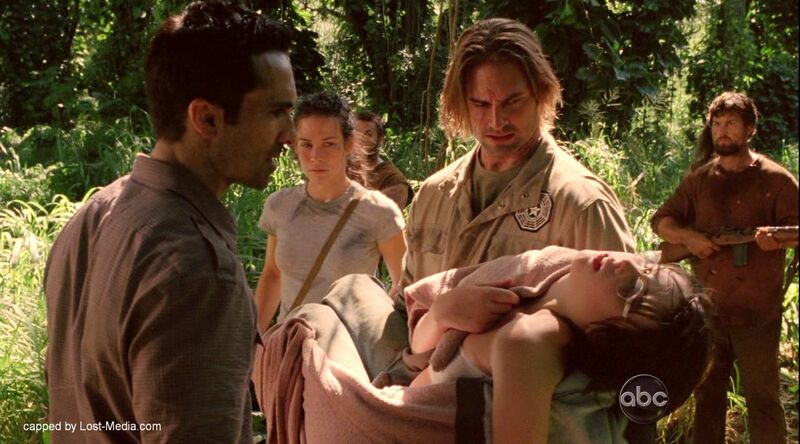 Sawyer then returned to Sayid and suggested that Sayid strike him and run away, but Sayid again refused any subterfuge. 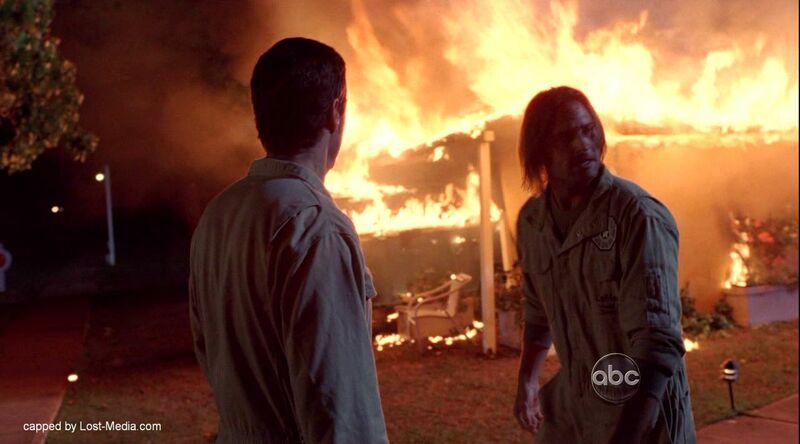 After the fire was put out and Sayid escaped, Sawyer was examining the security monitors and Kate approached him to ask what happened to Ben. Horace arrived and was suspicious of them talking. 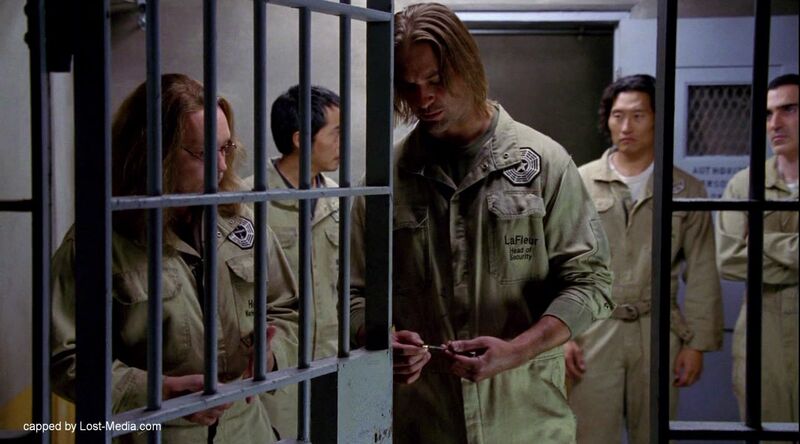 With the discovery of a janitor’s keys found in the holding cell, which made Jack a suspect, Sawyer saw that things were spiraling out of control. He ordered Miles to keep Jack, Kate and Hurley under house arrest in order not to complicate matters. Sawyer then approached Roger to ask for his keys and Roger said he must’ve left them at home. Later, Sawyer tried to recruit help with little Ben’s surgery from Jack, who flat out refused. 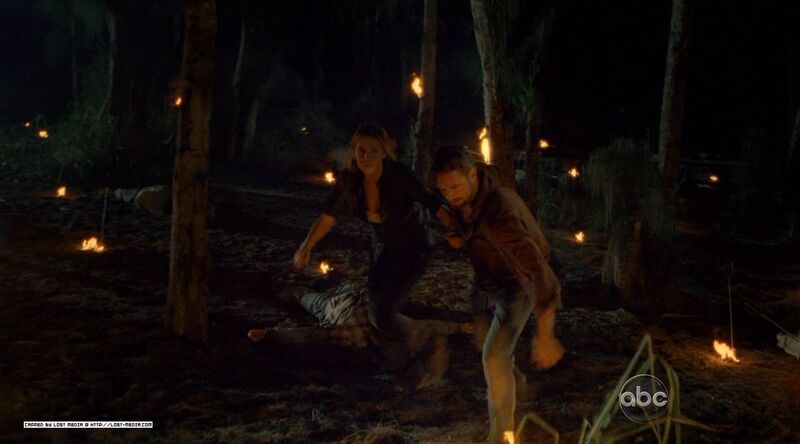 After Juliet sent Kate with Ben to take him to the Others for help, Sawyer went after and caught up with her. But he was there to help, not hinder, saying that he was doing this for Juliet. Sawyer deactivated the pylons, and they carried Ben into the Others’ territory. 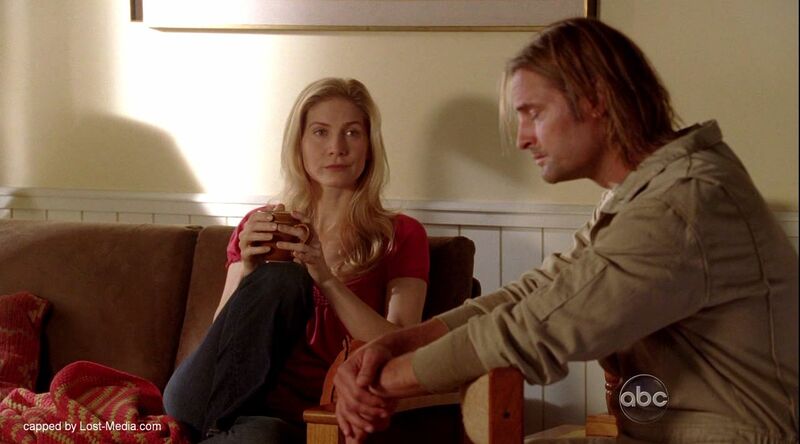 Along the way she told him about his daughter Clementine, and they discussed their relationship, with Sawyer saying he and Kate would not have lasted at the time, but that he’s grown up in the past three years. 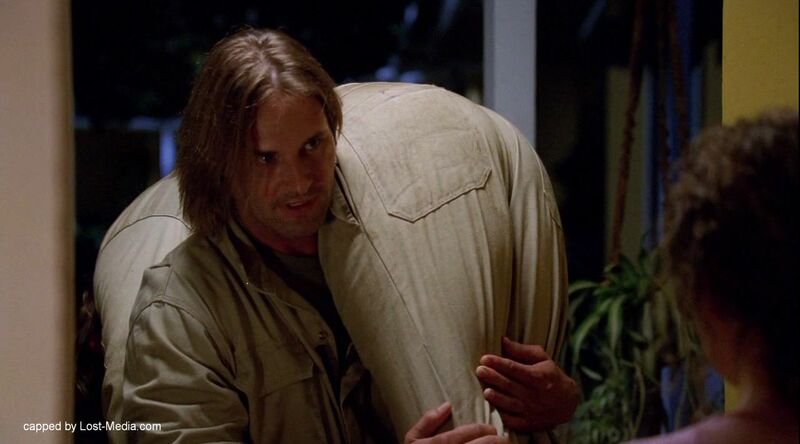 A group of Others surrounded them, but Sawyer quickly took charge, demanding to be taken to Richard Alpert. 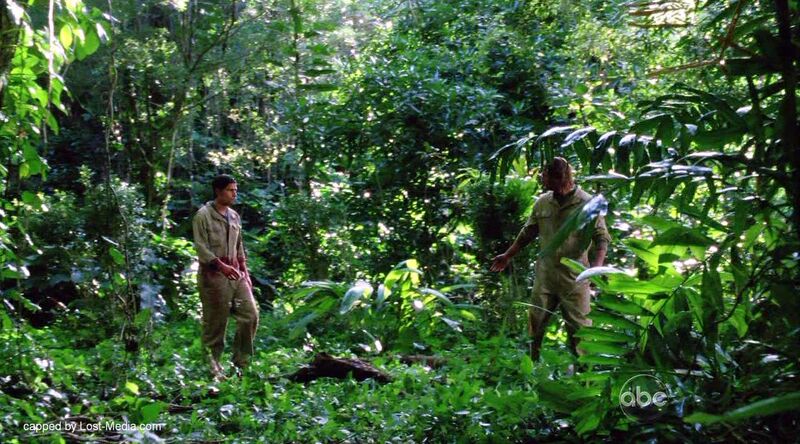 The Others escorted them into the jungle, with Sawyer cracking a joke to help alleviate the tension, when Richard arrived. 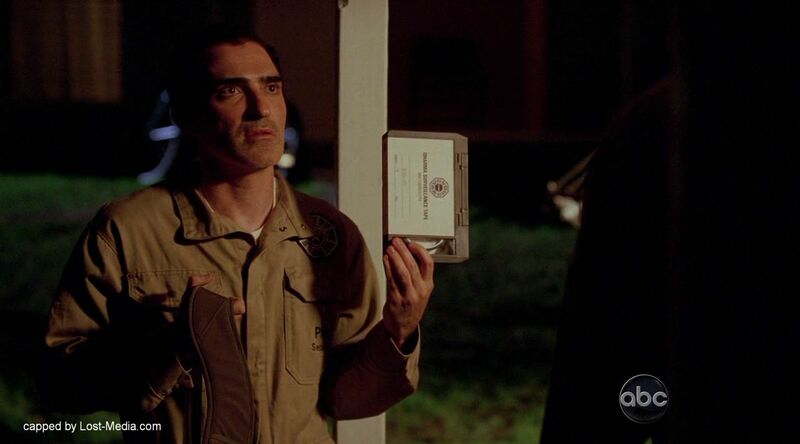 Later Sawyer called Miles and asked him to “accidentally” erase the tapes from the sonic fence surveillance. When Kate expressed concern that he could get in trouble, Sawyer smugly told her that he’s “head of security”, and that he could handle it. They were interrupted when Miles and Daniel arrived, asking where he could find the Hostiles. 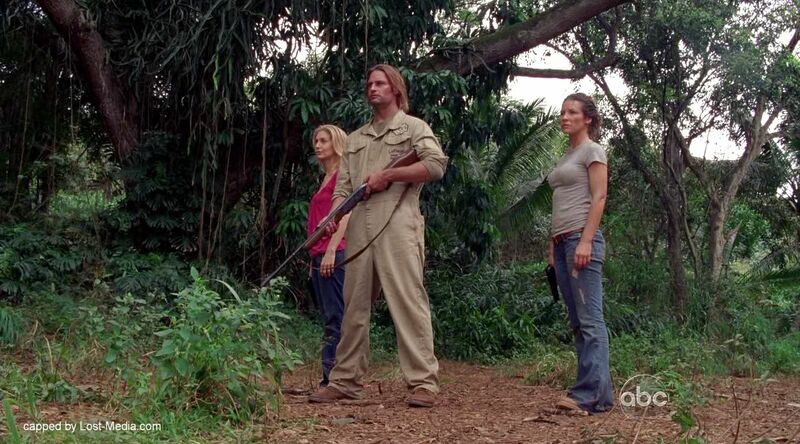 Sawyer rejected Daniel’s plan, and became angry when Jack suggested that Kate could take them to the Hostiles. Juliet became annoyed when he called her “Freckles”, however, and gave Kate the fence code in order to send her away. 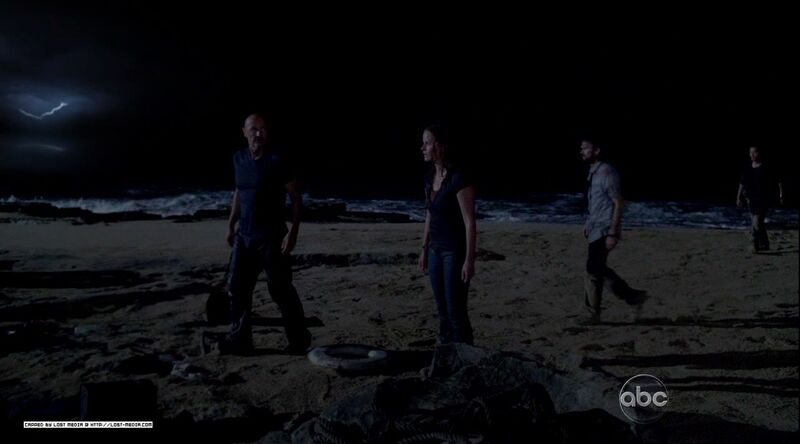 Sawyer argued that Jack was making a mistake and that he, Jin, Hurley, and Juliet would meet them at the beach when their plan inevitably fails. Sawyer and Juliet were taken to the security office where they were brutally interrogated by Radzinsky. 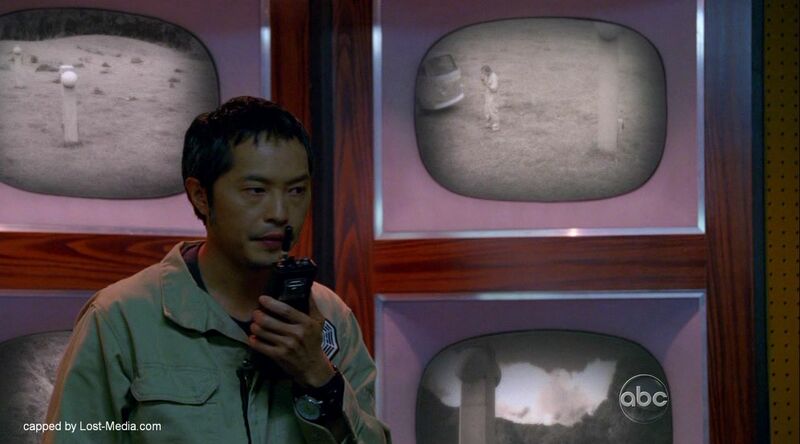 He shoved Sawyer’s face into the monitor showing him and Kate at the pylons, demanding to know where his “girlfriend” was, to which Sawyer stubbornly refused. Juliet protested, stating that they were good people. Sawyer ordered her not to talk, whatever she said, they wouldn’t believe her. Phil then took the interrogation to a more vicious level by slapping Juliet, which infuriated Sawyer. But he still refused to talk. Chang then arrived, angrily protesting the situation. He then told Horace, Radzinsky and the others to stop the drilling at the Swan, and ordered the evacuation of the woman and children from the Island. Sawyer then proposed a deal to Radzinsky: if he and Juliet could leave the Island on the submarine, he would tell Radzinsky everything he wanted to know. He did not include his friends in the deal, curiously enough, only himself and Juliet. On the dock, Sawyer sarcastically quipped that he’d buy Microsoft and bet on the Cowboys in the 1978 Superbowl. He apologized to Juliet and said that she was right three years ago, that he should have let her get on the submarine and leave. Juliet told Sawyer she was glad that she stayed behind. Once on the submarine, Juliet and Sawyer were handcuffed to a table in the ship’s gallery. Juliet asked Sawyer what they would do when they get to Ann Arbor. Sawyer replied that they aren’t going to Ann Arbor, and that they’d be free in the “real world”. Juliet chuckled saying she didn’t even know what that meant anymore. They held hands and said that they loved each other. Kate tried to persuade Sawyer and Juliet to come back and stop Jack from detonating Jughead, but Sawyer stubbornly refused, saying he made a decision to leave and was sticking to it. 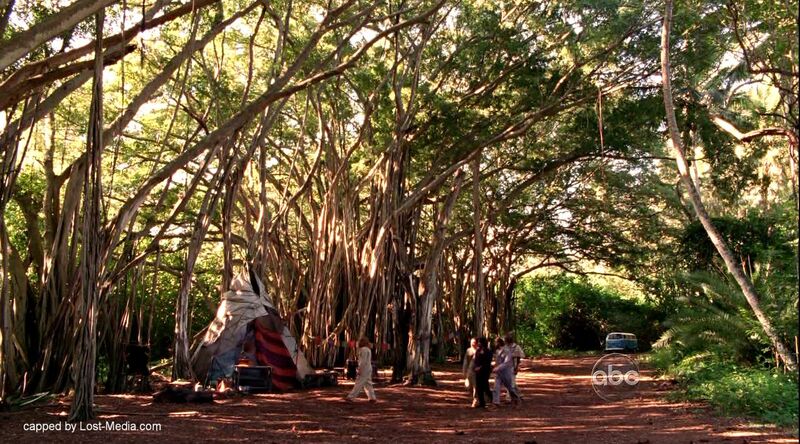 Juliet then knocked out the DHARMA worker bringing around sedatives and told Sawyer that “we decided to leave”, and that they couldn’t let those people on the Island die. Sawyer sulkily agreed to go along. They held the submarine captain at gunpoint and told him to surface the sub, and said that after they left, they were not under any circumstances to return to the Island. 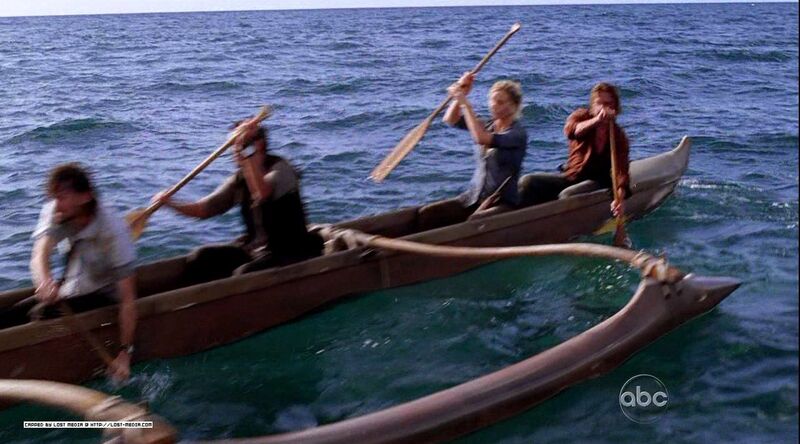 They rowed back to the Island using a raft from the sub, while Sawyer and Kate engaged in wry banter about directions. 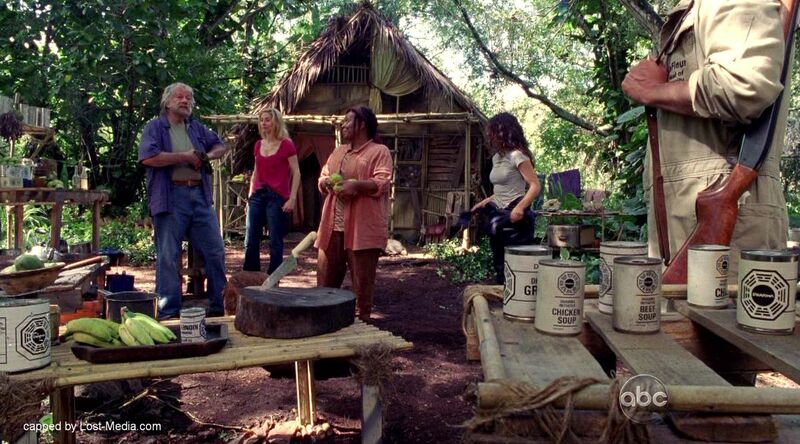 Upon getting back to the Island they spotted Vincent coming out of the jungle, followed by Rose and Bernard (now sporting a beard), who claimed they had known about them all joining DHARMA but they were retired and this was the life they wanted to live. Sawyer, Kate and Juliet intercepted the DHARMA van as it headed towards the Swan station. 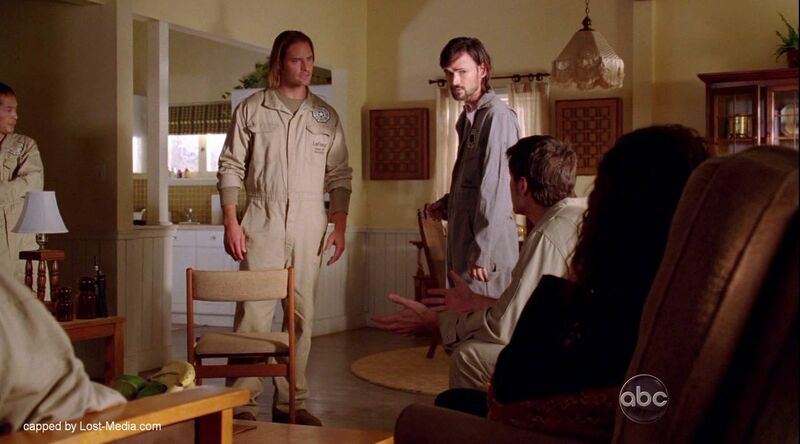 Sawyer asked to speak to Jack, who agreed to five minutes. 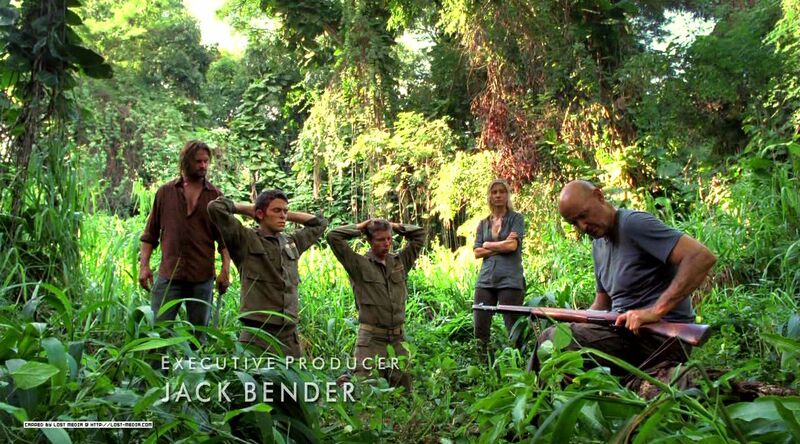 Out in the jungle, Sawyer told Jack about his parents’ murder-suicide, and his witness to the tragedy. Knowing when it happened, he could have gotten on the sub and stopped his dad from killing anyone, but he didn’t, because “what’s done is done”. Jack told him it didn’t have to be that way and it was his destiny to change all of their fates. 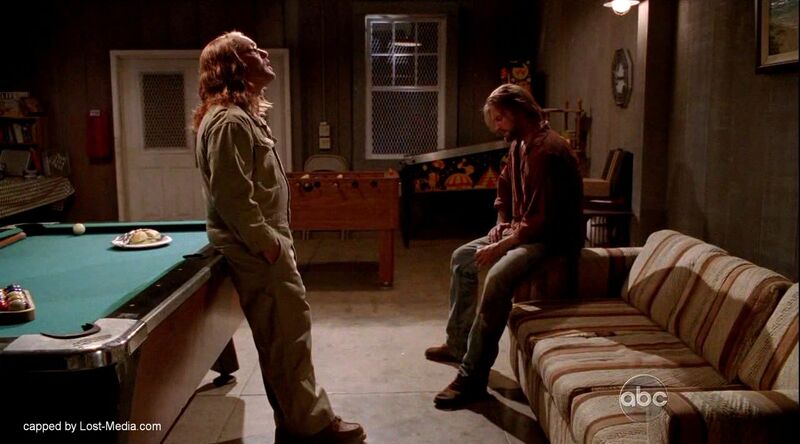 Sawyer said he didn’t believe in destiny, and he asked Jack what he wanted out of all of this. Jack told Sawyer that he had Kate and he lost her. Sawyer in exasperation tried to tell him if he wanted Kate back, all he had to do was talk to her. 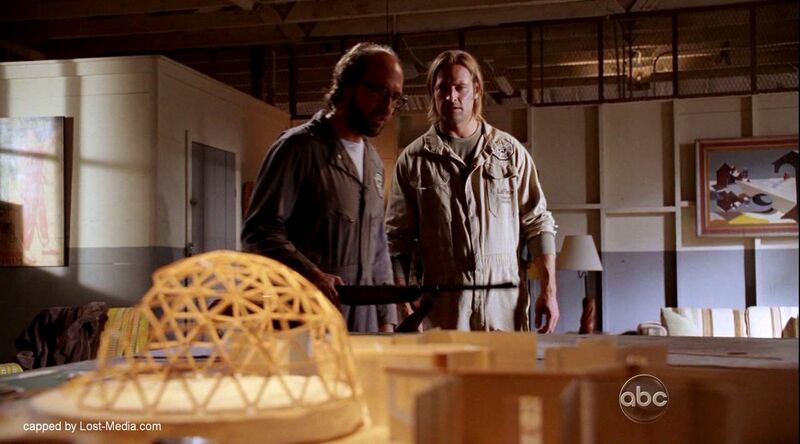 When Jack said it was “too late”, Sawyer reminded him that if his “reset” plan worked, he and Kate would be strangers, and she’d be on her way to prison. 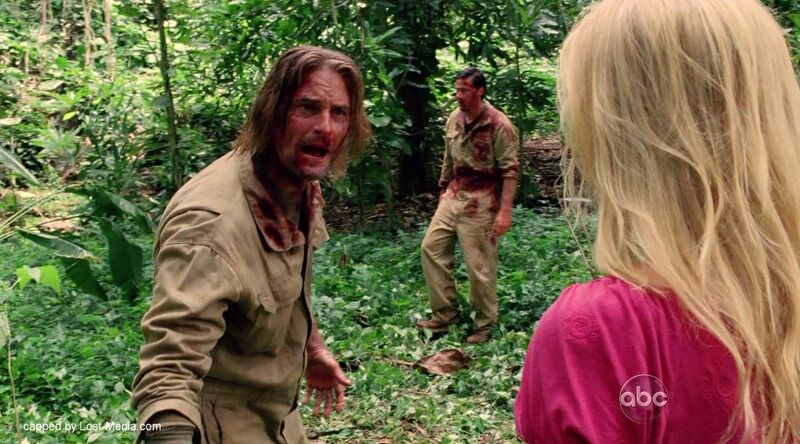 When even this failed to sway Jack, Sawyer decided he had had enough and punched him in the face. After a fierce brawl, Sawyer pinned Jack and demanded to know if he would stop his mission. Jack refused and Sawyer continued to beat him until Juliet intervened, shouting at Sawyer to stop. 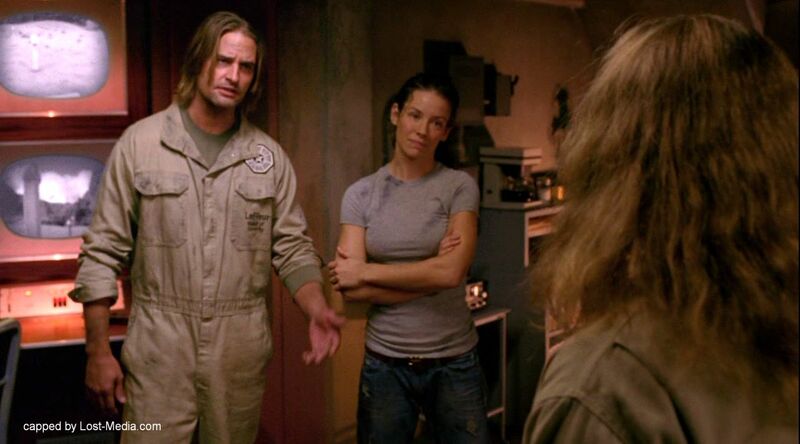 As Sawyer attempted to explain himself, Juliet told him that Jack was right, and that she was going to help him. 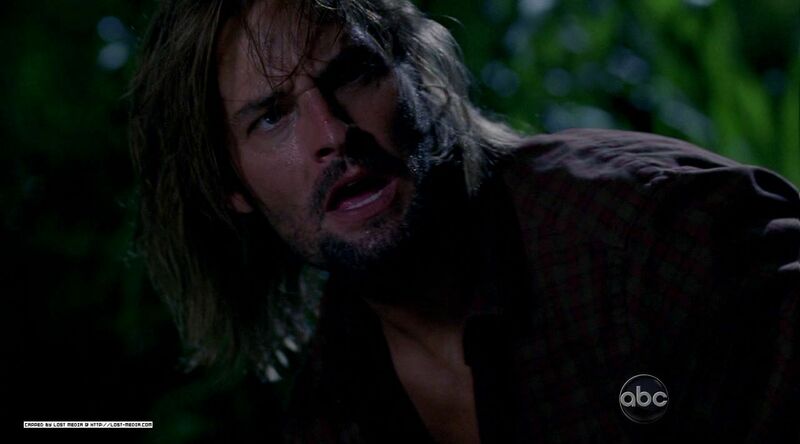 Sawyer demanded to know where all this was coming from, as she was the one who told him to come back to stop Jack. Juliet told him it was because she saw him look at Kate. She said she loved him but she knew they weren’t meant to be together. She said that if Jack changed everything, she would have never met him, but it would save her the pain of having to lose him. 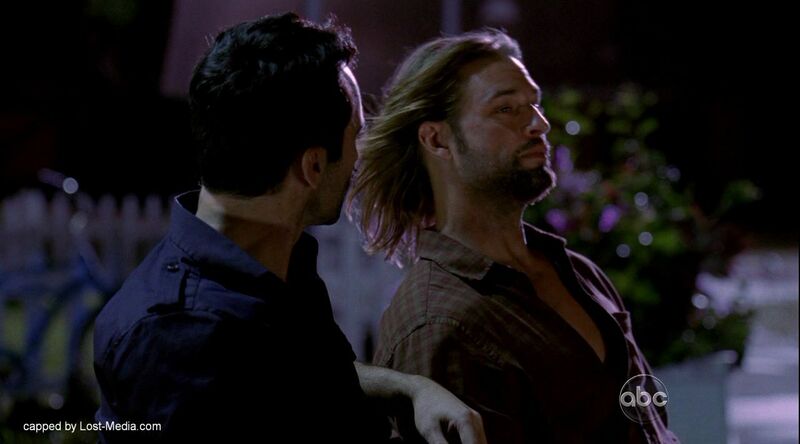 She walks away, leaving Sawyer stunned. Later as they walked back to the van, they passed Jack, who looked at Sawyer and said simply, “See you in Los Angeles”. Out by the van, Miles began to question whether or not what Jack was doing would cause the Incident, rather then prevent it. When Kate and Jin spotted Phil and the security team headed towards the Swan, Sawyer questioned Juliet whether they should help. She replies “live together, die alone”, and they head off. 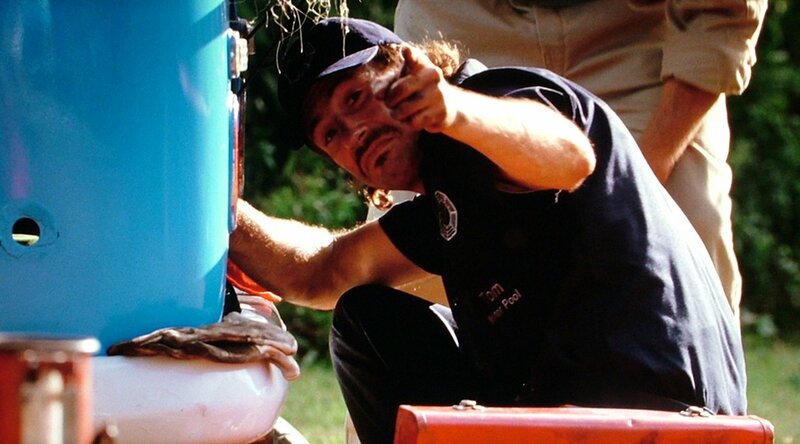 The van pulled up in time to help Jack, and a firefight ensued between the DI team and the castaways. 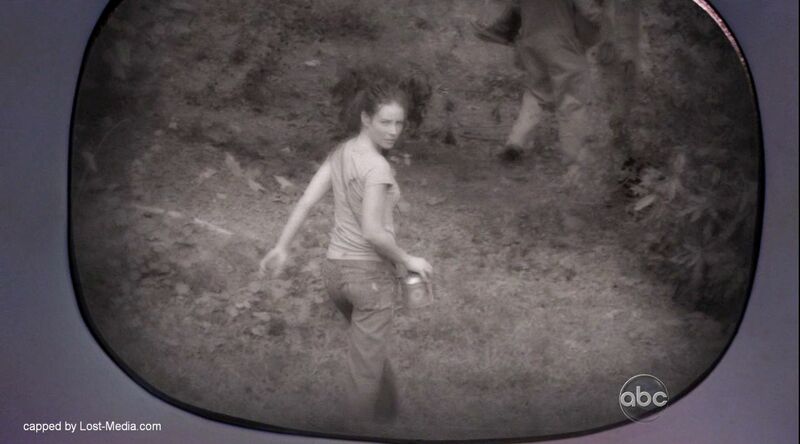 Sawyer was nearly shot by a DI worker above him, but it was Kate who had his back that time as she shot the worker dead. 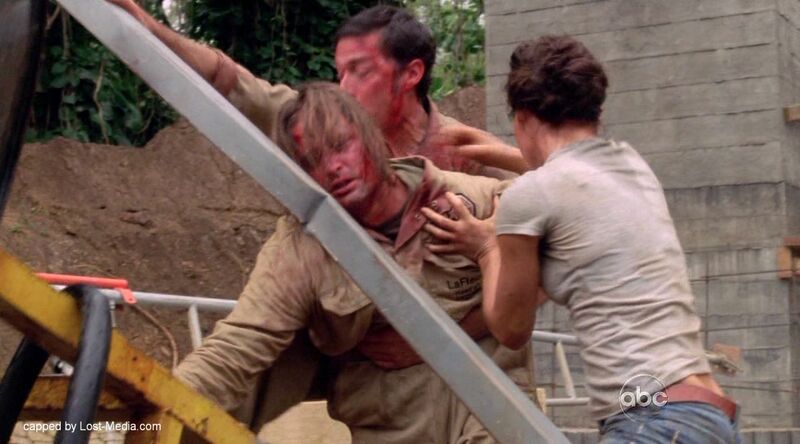 Sawyer grabbed Phil and forced the others to drop their weapons. He shouted at Jack to drop the bomb, and he exchanged a sad look with Juliet as Jack threw Jughead into the well. After a few moments it became apparent that the bomb had failed to detonate, prompting Sawyer to grumble that they were not at LAX. Then a deep hum started far below ground, as all the metallic objects in the vicinity started to be pulled into the well. 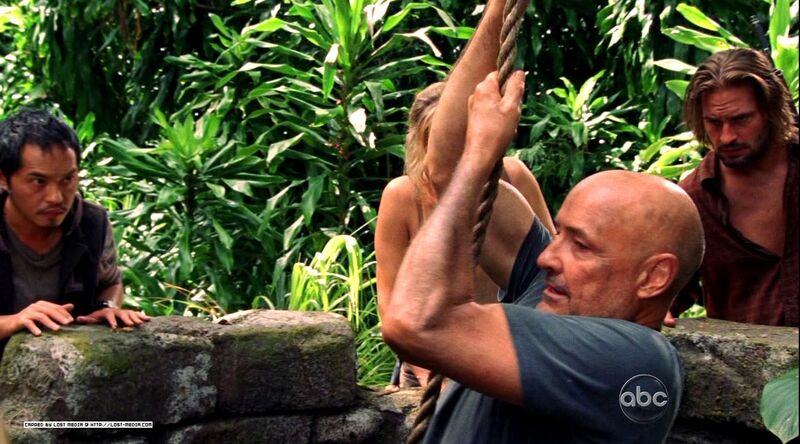 Phil managed to grab a rifle and threatened Sawyer, when rebar being yanked towards the well, impaling Phil in the chest.